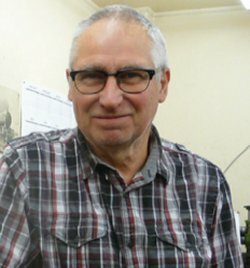 Silver Crest Models Limited (The Company) offers design and build services in respect to scale working models for hobbyists, enthusiasts and collectors (The Customer). The customer acknowledges and agrees to the following terms, conditions and process. The company undertakes the research and development (R&D) of a model subject (The Project) to include research, obtaining reference drawings, photography of full size prototypes, securing licence agreements with IPR holders, the production of 3D CAD drawings and the manufacture of a pre-production pilot model for proving. On completion of this stage customers are invited to place an Order Reservation for a model hand-built as part of a small, limited edition, batch production. The customer Order Reservation is secured on receipt of a Stage 1 payment (The Deposit) to cover the customer's contribution to the cost of the already completed R&D service. On receipt of the customer deposit we commence the manufacture of the customer's model. These hand-built models are designed, manufactured and paid for in discrete stages e.g. in the case of live steam models Stage 1 comprises the R&D process, Stage 2 the manufacture and assembly of Chassis, Wheels and Motion parts, Stage 3 the production of the Silver soldered pressure vessel (boiler), Stage 4 the manufacture of Brass bodywork and final assembly. For contract purposes each stage represents a unique product paid for and manufactured as a discrete item. The Order Reservation represents a contract for the build of the individual stages and for the final assembly into a ready to run model. The customer will be requested to pay for each stage independently on completion of the manufacture and build service delivered to that point. Completion of each stage constitutes "delivery" under the contract and content will vary model to model. The payment and completion dates for the staged build are specified on the Order Reservation Form. Whilst an overall timeframe for the completion of the final assembly is indicated at the point of order time is not the essence of the contract. All pressure vessels are tested in accordance with Module A of the European Union Pressure Equipment Directive and comply with The Pressure Equipment Directive 97/23/EC. The Company retains up to £5m insurance cover in respect to product liability and Public Liability. We endeavour to describe our product and service honestly in all advertising, brochures, mailings, website and all other promotional material. However, in pursuit of continual product improvement we reserve the right to change materials, component design, or model specification if this need is identified during manufacture and build. Any changes made by the Company will constitute a model upgrade. The price agreed for our services at the point of Order Reservation will be fixed for the duration of the contract other than for changes in the rate of Value Added Tax where the Company reserves the right to increase, or decrease, the retail price charged to reflect the changes in tax rate. - The model can be returned to the Company only after a minimum of 2 years following the original delivery. - The Company has a 6 month period following the return in which to secure the re- sale of the model. The Company will make the refund the customer no later than the expiry of the 6 month period. - The Customer must request the Buy-Back arrangement at the time of placing their Order Reservation. Such a request for inclusion in the scheme must be made on the official Order Reservation Form and is only applicable to those models for which the scheme is offered. - The company reserves the right not to accept a customer's request for registration at the time the Order Reservation is made. Your product is individually hand-built to order to our own original copyright design. 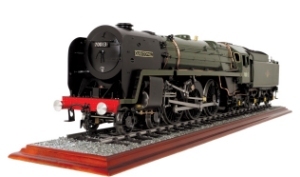 Models are offered in the customer's choice of liveries, name, and number and carry a unique Silver Crest Models Limited issue number and boiler code. Every Silver Crest Model is unique, and individually identifiable. Your rights to cancellation may vary depending on where the contract was made and the level to which the model is personalised. We will look sympathetically upon any customers request to cancel due to ill-health, job redundancy, or other serious impediments to fulfilling their contractual obligations. However, in the above circumstances we reserve the right to secure another purchaser for the product at the contracted sale price prior to refunding monies paid to the original customer. All our models are carefully inspected and tested prior to shipping. We will contact you to agree a convenient date for you to accept delivery prior to shipping. In the event of any fault, defect in manufacture, or damage received in transit, Silver Crest Models Limited reserve the right to collect, repair and return the model at the company's expense. Any such fault, defect, or damage must be notified to Silver Crest Models Limited within 7 days of the delivery. All our products are offered with a full 12 months warranty and we undertake to replace any significant component that fails within the time period covered. Customers will be expected to undertake routine maintenance and parts replacement themselves. In the event of a complex failure Silver Crest Models Limited undertake to repair the model free of charge under the terms of the warranty providing the customer can return and collect their model to our office in Braunston, Northamptonshire. Silver Crest Models can, if the circumstances necessitate, arrange collection and return of the model to a customers UK address. On expiry of the warranty period we will provide service support to customers although a charge may be made for such services. Routine care and maintenance of models is the responsibility of the customer and the Company accepts no liability for damage, or injury, resulting from the misuse, or neglect, of the product. Unauthorised customer modifications to the product may invalidate the warranty. Your statutory rights are unaffected. Governing Law. Contracts for the supply of goods and services will be governed and construed in accordance with English law and the parties submit to the exclusive jurisdiction of the courts of England and Wales with respect to any dispute hereunder.